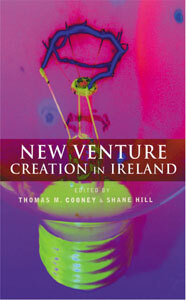 NEW VENTURE CREATION IN IRELAND is aimed at undergraduate students of entrepreneurship, enterprise development and new venture creation. The book fills a gap in the market-place for Irish lecturers and students by providing a textbook that is relevant to the Irish situation, combining a balance of theoretical underpinning and practical detail. Contributions come from a range of specialists who provide up-to-date thinking and information on this topic.